1. How long does it take to register? How long does it take to search? It takes just 60 seconds to register a Will or search for a Will. 2. Do I need to register my Will if my children know where it is? A recent public survey showed that 67% of people did not know where to find their parents' Will. Over the course of time, children forget, the Will is moved or possibly lost. 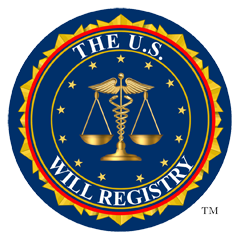 By registering the location of the Will and/or the name of the Attorney who prepared the Will, you can be confident your Will can be located. Not being able to locate a Will causes untold distress and the potential financial loss for a family, or beneficiary. Registering your Will can ensure that if your Will is lost, misplaced or forgotten over the passage of time, it can be easily found. 3. What Happens If I Don't Register and my Will is Lost? Your beneficiaries may not receive inheritance in accordance with your instructions. The Courts distribute your assets under the rules of Intestacy. Your children and dependents may not be looked after in the way you have stated in your Will. It may be assumed that you never wrote a Will. 4. I don't have a Will. Everyone should have a will! A Will may be the most important document you will ever produce. It protects and distributes your assets in accordance with your wishes. It’s a fallacy that you have to have a lot of money or assets to need a Will. Many families argue more over sentimental items, (a favorite ring or necklace), than money. To avoid family disputes, have a Will written to make your final wishes perfectly clear. Simply click on FIND AN ATTORNEY to write and register your Will for you. 5. Do I send my Will to you? No, The U.S. Will Registry does not accept copies of documents. Only the location / Attorney’s contact information is entered. 6. How much does it cost to write a Will? 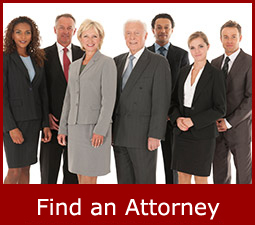 You can find an Attorney near you by simply clicking: FIND AN ATTORNEY. Costs vary depending on the complexity of the Will. 7. Do I need an Attorney to write my Will? Be assured that your Will meets state guidelines. If you need an attorney to write or review a Will in your local area, search our Find An Attorney section of the site. Make sure you have your Attorney register your Will as well. 8. How long do you hold my details for? Your registration will be stored until you reach 120 years of age.